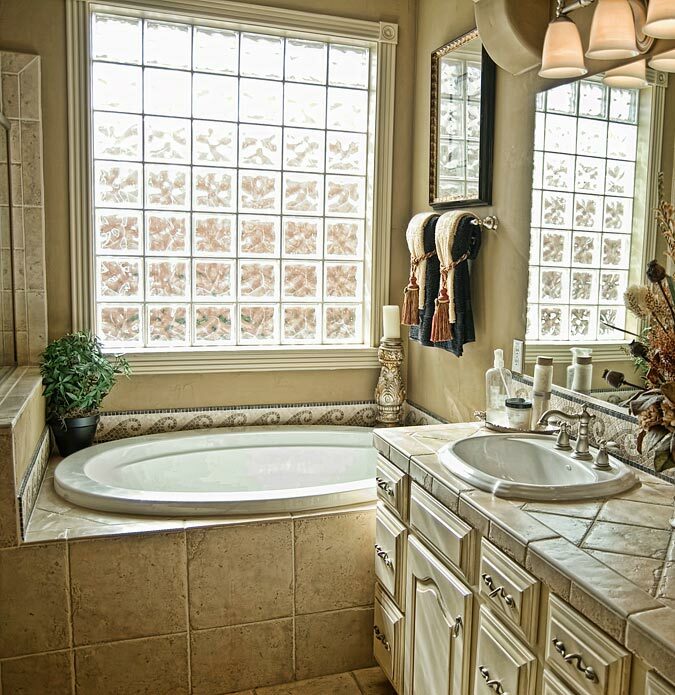 This bathroom is neutral from top to bottom with just the right "splash" of color in between. The wave patterned mosaic tiles surrounding the bathtub and sink bring color and laidback charm to this otherwise traditional bathroom. A molding similar to the ET-8720 was used to frame the glass block window of this thoughtfully designed bathroom. The color of the trim stands out nicely against the slightly darker wall of a similar neutral shade. Corner Blocks similar to the ED-4826 were used on the top sides of the window trim which add a decorative touch.